Island Creek is located off Beulah Street in Alexandria. The neighborhood is home to over 1,200 residences. Single family homes, townhouses, and two styles of condos; garden and townhouse style can all be found in Island Creek. The neighborhood offers its residents wonderful amenities to enjoy; two outdoor pools, tot lots, tennis, basketball, and volleyball courts, and a lake. There’s a variety of walking and biking trails through the community and a clubhouse that can be reserved for special events or parties. Residents can access the community website to learn more about upcoming events, post a classified ad, or contact the board. 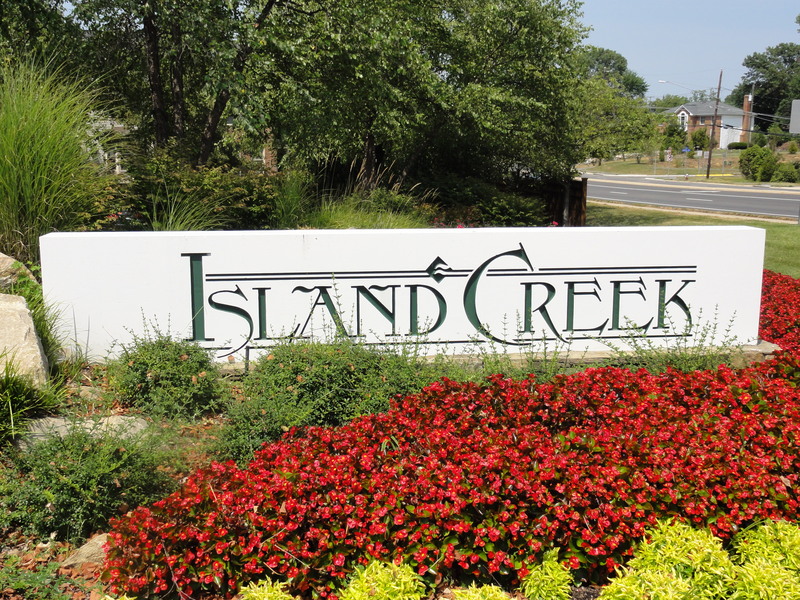 Island Creek is very conveniently located, minutes to commuter routes, daily needs, entertainment, and public transportation this community has location covered. Hilltop Village Center is within walking distance of the neighborhood and home to Wegmans, LA Fitness, Green Turtle, Burtons Grill, Hilltop Dental Care, First Impression Orthodontics, Panda Express, and many other retail locations. Stop by and see us, our office is in the center as well; we’re on the second level next to Mathnasium. Kingstowne Towne Center is nearby and a long walk or a quick car ride away. The center offers multiple grocery stores, over 25 dining options, Kingstowne 16 Movie Theater, HomeGoods, TJ Maxx, World Market, Famous Footwear, Lane Bryant, and Bath and Body Works just to name a few. The Springfield Town Center is minutes from Island Creek and home to Top Shop, Michael Kors, Forever 21, Dicks Sporting Goods, Macy’s and many more. Don’t forget to check out the many dining options while you’re there; Maggianos, Nandos Peri Peri, Chuys, and Yardhouse top our list. Children that live in Island Creek will attend Island Creek Elementary and Hayfield Secondary Schools. Visit the GreatSchools website for more information about these schools including reviews and test scores.